OSI (Open System Interconnection) model for networking is a seven layers model which is defines by international standard Organization. The goal of ISO is to enhance the inter-operability and functionality between different application venders and also make easier for IT professionals to focus on layers while designing the network.OSI model is reference model which describe that how two network devices communicate with each other and in this communication how information flow from top layer to bottom layer of one network device to other network device. OSI was introduced by ISO (International Organization for Standardization) in 1985. In early days there was no single specification and standard for network technology, Information transmitted between your computers cannot understand by each other. In order to make the network better worldwide and publically ISO launch the OSI reference model. The implication is recommended for all companies to use this specification for designing and controlling the network so that all companies have the same specification, will be able to connect with each other. OSI is a set of well-defined protocol specification, it defines the open system hierarchy, and the relationship between levels of layers. OSI reference is only a theoretical model and does not provide a method for implementation, describes some of the concepts used to coordinate inter-process communication standards. Therefore another standard used in the development of a conceptual framework is called the TCP/IP model which is the more practically implemented model. When two devices communicate with each other information flows from application layer of one network device (computer) down to physical layer and moving through physical medium and enter into physical layer of other device and move upward to application layer. This layer is the closest to end user and user is interacting directory with this layer. Normally we have GUI of different applications for interaction to different network resources. Application layer is responsible for the providing different applications and software for interaction to different network services. The application layer provides services including file transfer, file management, and e-mail information processing. Application layer decide the suitable application for transmitting user message for example for email its will use SMTP, FTP for file transfer, media players use the different codes for sending the audio/ video data. Presentation layer is responsible for translating data into understandable form by end system. Presentation layer arrange the data in such order that it can be understandable the program according to the network format. The presentation-layer manages, decryption and encryption the data, such as the system password handling, for example: on the Internet, when you check your bank account by using a secure connection, your account data is encrypted before it is sent, at the other end that layer will decrypt the data received. Presentation layer protocol for pictures, video, text and other file formats perform decoding and encoding information, for example video codes MPEG or AVI converts the video stream. The establishment of communication links between sender and receiver. The communication is interrupted decide where to send again. Transport Layer is responsible for delivering the correct information to destination. It accepts data from session layer and break it up into transport segments. This layer performs the error check like transmission error, recovering from errors. Transport layer is responsible for error free delivery of data in proper order with flow control and sequencing the data. The Transport layer provides both connection-oriented (TCP) communication and connectionless (UDP) transmissions. 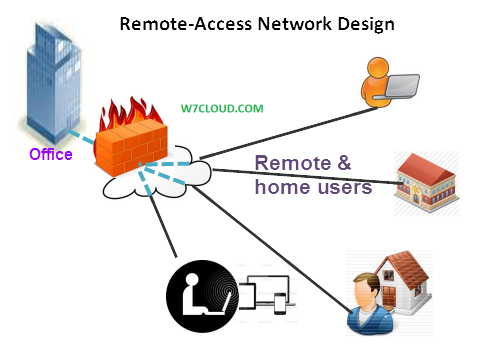 Network layer provide the map for destination using logical addressing schemes like IP Addresses. Network layer provide the router selection and packet forwarding. The main function of network layer is the network-address translation into a corresponding physical address, and decides how to route the data from the sender to the recipient. 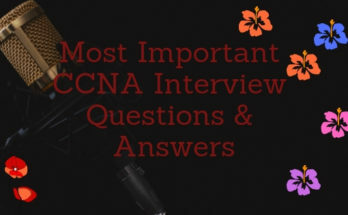 Network layer provide the best transmission path by considering network congestion level, quality of service and cost to determine a routable from one network to another network node. Network layer is responsible to establish the routes between the source and target machines , this layer does not have any error detection and correction mechanism, so the network layer must rely on end to end between the DLL provides a reliable transport service. The network layer is optional, it is only used when the two network devices in different networks want to communicate with each, for such case you need a layer-3 device like router. Data link layer controls the communication between network layer and the physical layer. In order to ensure the transmission, when the data receives from network layer it is divided into the specific physical layer transmission frames. Data link layer running MAC addresses and frames are forwarded according to destination MAC. The frame structure is used to move data packets, which includes not only the original data, including the sender and the receiver physical address (MAC), control information, and error correction. Data link layer determine where to send the frame, while the error correction and control information ensures that error-free frames arrive. If there is an error in transmission of data and the receiver detects an error in the transmission of data, then in this case a request is generated for sender to resend the frame. Switches are considered to be data-link layer devices as they are using the frame information and the data is sent to the correct recipient. Data link layer protocols include: SDLC, HDLC, PPP, STP, Frame Relay, and so on. Physical layer convert the data transmitted through the physical medium is equivalent electronic signals. 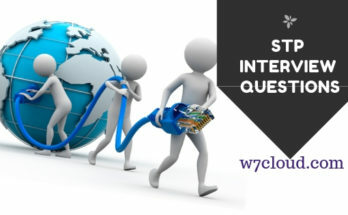 Physical layer provide the road for communication between two devices, physical layer is the lowest level of the OSI model or the first layer, which includes a physical networking media, such as a cable connection connector. Physical layer protocol detects the voltage generated and to send and receive signals carrying data in form of bits (0 or 1). Although the physical layer does not provide error detection, but it is possible to set the data transfer rate and error rate. In physical layer for transmission of information we have physical media, such as twisted pair, coaxial cable, fiber optics etc.